Should You Feed Your Baby Soy Milk? If you're struggling with your breast milk supply, unable to breastfeed for another reason, or your baby is having trouble digesting cow's milk formula, you may be wondering if soy protein-based formula is a viable option for your infant. Is Soy Milk Safe for My Growing Baby? Several soy-based formulas are approved by the Food and Drug Administration for babies, and these are good alternatives when a baby is allergic to lactose or cow's milk. 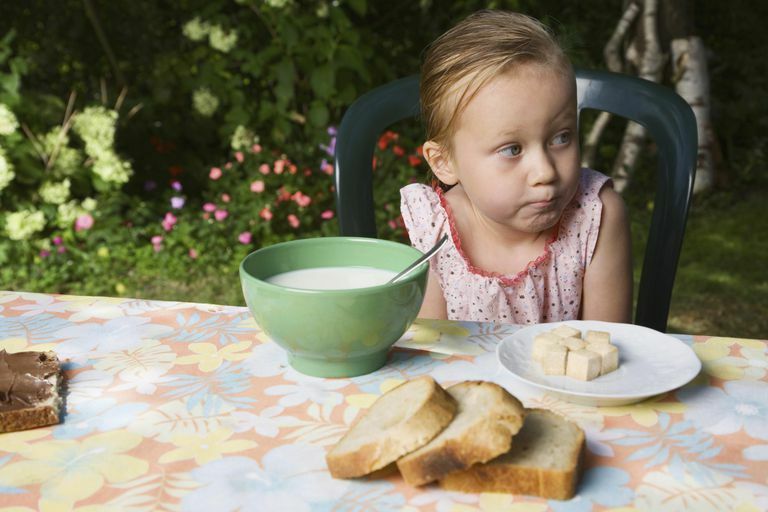 Some families also feel strongly about keeping animal products out of their child's diet, so they may opt for soy. While you may have heard concerns about adverse developmental effects in babies fed soy protein-based formula, research shows that they do just as well as babies who are fed cow's milk formula. In fact, a 2012 study published in the journal Pediatrics found that no developmental differences were found between milk formula-fed infants and soy formula-fed infants. The researchers tracked nearly 400 babies at ages 3, 6, 9, and 12 months, and while adjusting for socioeconomic status, mother’s age and IQ, gestational age, gender, birth weight, head circumference, race, age, and diet history, all soy formula-fed infant scores were within established normal ranges. However, the old adage "breast is best" proved true in this study—the breastfed babies scored slightly higher in their cognitive and psychomotor development than the babies fed either type of formula. Because of its ability to protect against a wide variety of diseases in infants and children, The American Academy of Pediatrics recommends exclusively breastfeeding for the first six months of a baby's life, followed by breastfeeding with the addition of solid foods until at least one year, with the continuation of breastfeeding for as long as is desired by the mother and baby. But there are many situations in which a mother may not be able to breastfeed, and in those cases, the formula is perfectly healthy for your child. While soy based-formula poses no health risks for most babies, it can be allergenic for some. Soy-based formulas are a good alternative for babies allergic to cow's milk or lactose, but nearly half of babies who cannot tolerate cow's milk are also allergic to soy milk. In those cases, many doctors now advise that babies be given lactose- and soy-free formulas such as hydrolyzed protein formulas like Alimentum or Nutramigen. Dr. William Sears in The Baby Book recommends against soy formula as a first choice for many reasons including that "30-50 percent of infants who are allergic to cow's milk protein are also allergic to soy protein," and that "giving an infant soy at a young age, when intestines are more permeable to allergens, may predispose the child to soy allergies later on, even as an adult." So, if problems arise with cow's milk formula, know that soy is not your only option. When it comes time to introduce solid foods, offer your child soy in moderation (you should also learn about when it's the right time to introduce solid foods if you're concerned about food allergies). Tofu is a good start as babies like the texture and it doesn't have a heavily beany flavor like some soy products. It's also less gas-producing, which is a bonus for sensitive tummies. The first person to whom you should direct any lingering questions and concerns about how to feed your baby is her pediatrician. The first time you introduce soy to your baby, be sure to watch for the signs of an allergic reaction, such as irritability, crying, hives, difficulty breathing or asthma symptoms, swelling of the mouth or throat, and vomiting or diarrhea. If any of this occurs, call your child's doctor immediately, or if your baby's reaction seems severe, call 911. Extremely rarely, anaphylactic shock can occur. Aline Andres, Mario A. Cleves, Jayne B. Bellando, R. T. Pivik, Patrick H. Casey, Thomas M. Badger. Developmental Status of 1-Year-Old Infants Fed Breast Milk, Cow’s Milk Formula, or Soy Formula. Pediatrics, 2012.